We use a variety of tools to help a company review its current position and look at ways to take advantage of new opportunities and mitigate threats to the business. The Business Model Canvas and variants of it allow a company’s whole business to be summarised on a single sheet of A4. Gone are the days of lengthy reports that cost a fortune and sit unread on the shelf. Reverse brainstorming, 360 degree reviews and De Bonos ‘six thinking hats’ are just some of the resources we bring to our work. The emphasis is the involvement of all stakeholders and so empowering staff to make their full contribution. This benefits both the company and also enhances the sense of pride that staff have knowing that their work is valued and appreciated. Having identified the strategic direction, we then work for the timely delivery of the agreed actions to achieve success. One of the first parts of good strategic development is strategic planning which is fantastic value for money for SMEs who typically have limited resources of time, money and people. By making decisions that are not directly in line with their goals and objectives, a business inevitably risks wasting valuable time and money. To avoid this we must align all members of the management team with the purpose and vision of the business (or organisation, this applies to equally to not for profits) both in the short and long term. Once a business is on the same page regarding where you want to go and what you want to achieve, you need to create the action plans to get there. 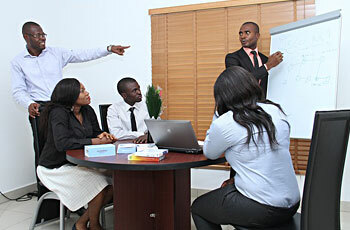 Strategic planning can be done by any company at any time. We suggest that the management teams of SMEs should meet at least quarterly to review performance to date as well as track changes in the business environment. We also advise that teams should have a longer session once a year to establish the goals and visions of the business for the following year and beyond. This also allows for buy-in from all the team and for everyone to feel that they are part of the process and can bring their contribution. What we aim to get out of the planning meeting? What is the mission and vision of the business? What will stop us getting us there? It may not be rocket science but many businesses are so busy dealing with the immediate that they do not have, or more strictly do not make, the time to plan effectively. If ever the phrase ‘a stitch in time says nine’ is true, it is true for business planning!